Fundraiser for Rae Ciuzelis by Rae Ciuzelis : Help us help Taylor! Meet Taylor... Laying on the side of the road in nearly 40 degree heat. He was severly dehydrated, starving, covered in flies, infested with fleas, being eaten by meat ants & unable to move. After a very appreciated drink of water we rushed this poor lifeless puppy to the nearest vet. He immediately went in for x-rays that revealed his broken hip. The vet treated him with a much needed pain relief injection, an anti-inflammatory, his flea infestation & conducted parvo testing. Taylor is estimated to be no more than 5 months of age & requires around the clock care. He is unable to move, walk or even go to the toilet at this stage & will need to undergo hip surgery when he his stable. We have so far covered the all the costs for little Taylor & will continue with his ongoing care. 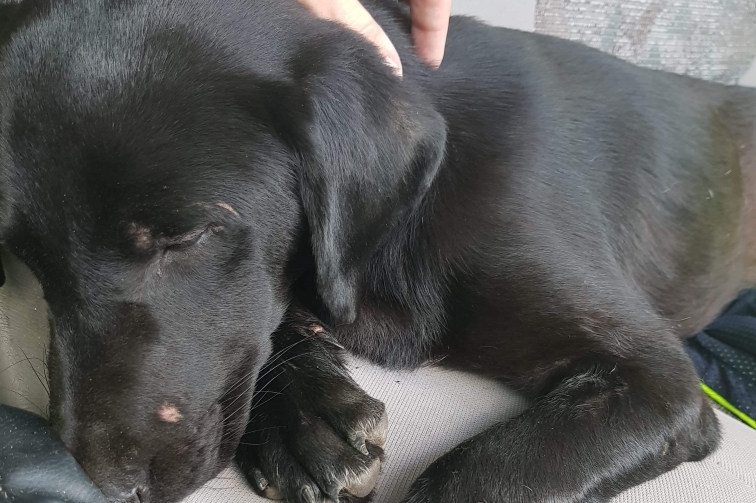 However, we need to raise enough funds to give Taylor the surgery he so desperately needs to give him the best shot at finding a loving family this little puppy deserves. We can not express how heart warming the response on sharing Taylor’s story as well as the generous donations people have already made! We will continue to keep you all posted on Taylor’s progress. If you would like to join in the support in giving Taylor a fighting chance please donate or even simply share his story! 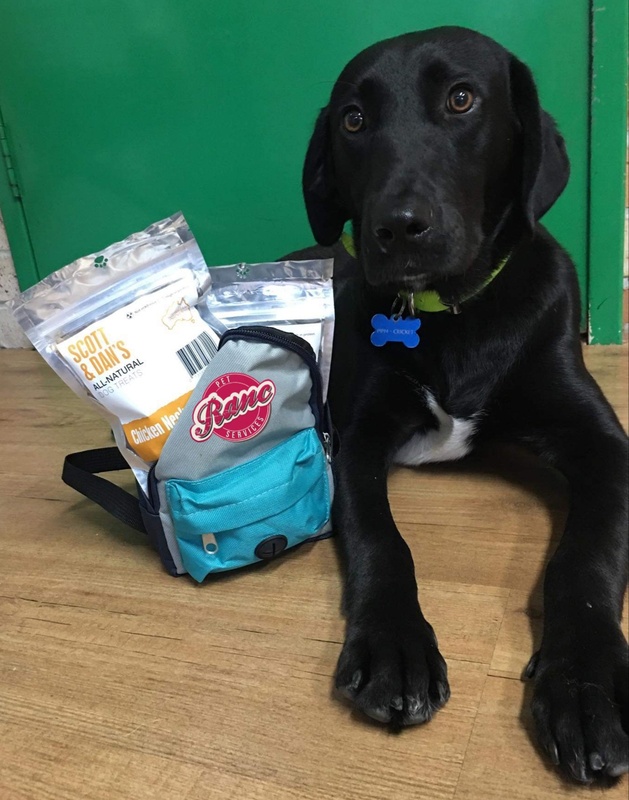 Taylor has his backpack filled with goodies after another big day at doggy day care! He has been away for a little while with a cold but is back with all his mates & ready to get up to his usual antics. 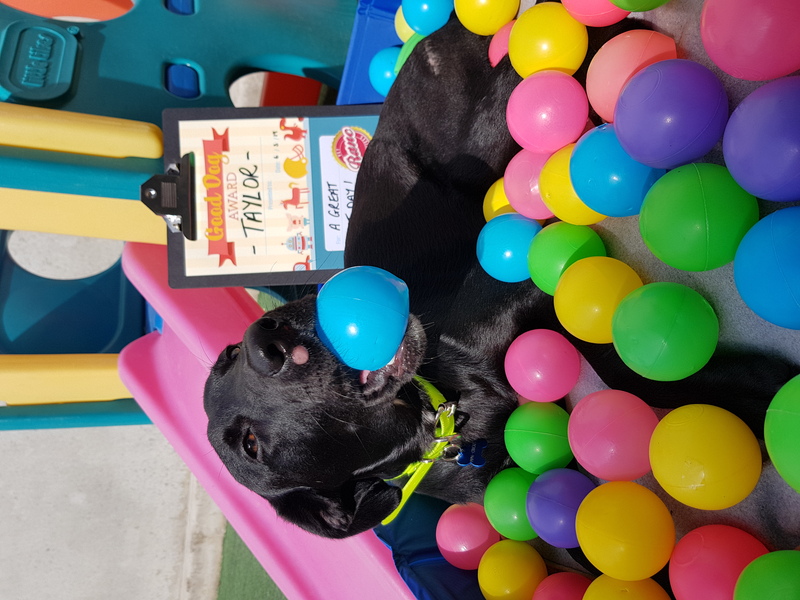 Taylor will also be visiting the Veterinary Specialist Services at Underwood on the 15th of April to see his physiotherapist. To keep up to date with his ongoing recovery be sure to visit Ranc Pet Services on Facebook for more frequent posts! 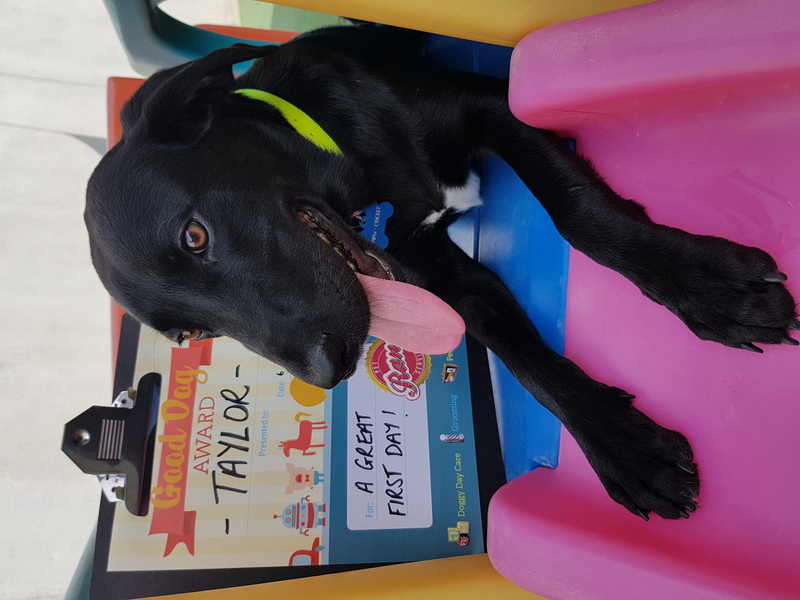 Today was Taylor's very first day at doggy day care! 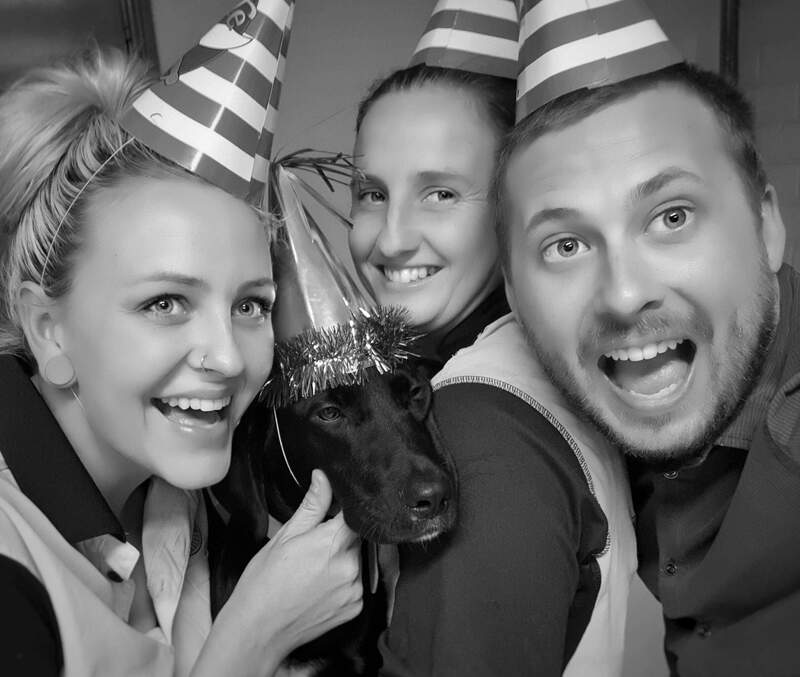 This was definitely a milestone for this brave little boy & we couldn't be happier! Spending the day playing in the pool, snoozing & waddling around saying hello to every single dog in day care & we mean every single dog. To call him a social butterfly is an understatement! He has been back to see Dr.Kat & her wonderful team at Redlands Veterinary Clinic for his post surgery check up & has amazed everyone with his progress. He does have a histiocytoma on his nose. These growths are not true cancers where the cell growth is uncontrollable, but more of an overgrowth of cells. He has been prescribed a steroid ointment & in time it will slowly disappear. We hope these pictures make you smile & show what the power of people have done for baby Taylor. Stay posted for more of Taylor's road to recovery! 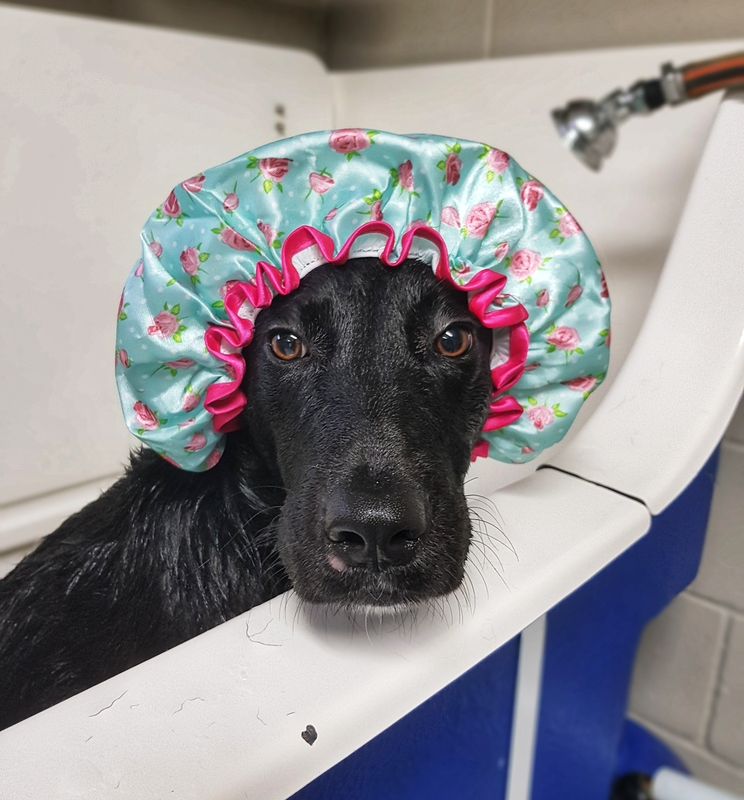 Taylor had a well deserved pamper day for being such a good boy! He is ticking all the boxes for a great recovery. He is now walking, sitting, standing & going to the potty all on his own. We are seeing a different side to this little man. Since coming into our care Taylor would never play with toys or instigate play. Now he is digging holes, giving his toys a hard time & even making it snow by tearing up his bed! He is living proof that saving one dog won't change the world, but surely for that one dog, the world will change forever. Because of all the amazing people that have donated Taylor is all booked in for surgery this coming Monday with the loving guys & gals at Redlands Veterinary Clinic! He will spend 3-4 days with their team & then we are all stocked up with nappies, foods, pee pads, blankies & medication for the 12 week road to recovery. It is easier for us to express in words how apprecative we are of your generosity but you all need to know how much it all means to Taylor. 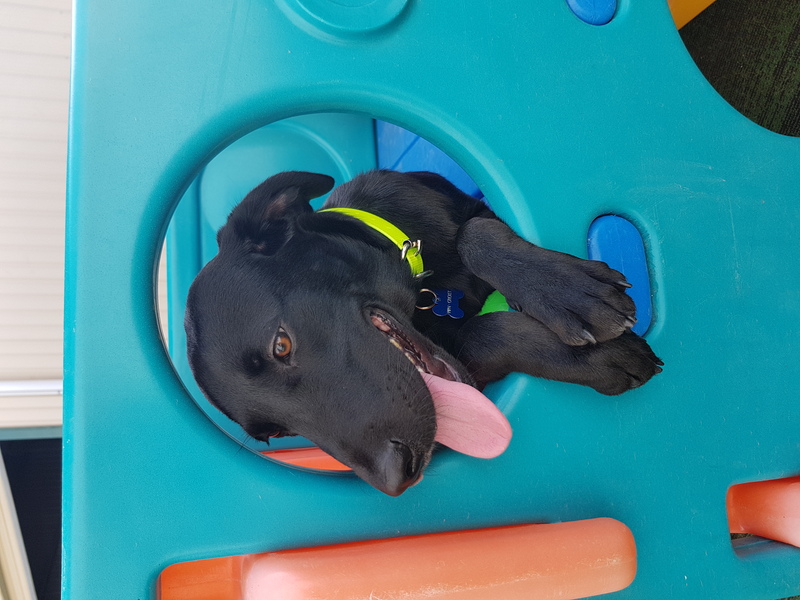 From funds, doggy treats & simply sharing his story you have given him a second chance at life! P.S- Note Taylor's unimpressed face is due to photo's being taken after a nap!